​.And for good reason ― the cloud helps them work in more agile ways, serve their users better, free their IT staff to innovate, and protect their businesses with bank-grade security. Usually for less cost than the way they do IT today. But despite all these well-known benefits, the cloud also raises a lot of questions. With that in mind, we’ve answered some of the most common questions about the cloud that growing businesses have asked us over the years. We hope it will help you find the answers you need to get your ‘journey to the cloud’ right. ‘The cloud’ is internet-based computing. It replaces some or all of your expensive, on-site IT systems ― such as servers, storage, security, applications and more ― with remotely hosted computing resources. There are three broad categories of cloud computing. The first is Software-as-a-Service (SaaS), which represents the largest cloud market. With SaaS, your applications are managed via a third-party vendor, which eliminates the need for you to install and run applications on individual devices. The second cloud model is Platform-as-a-Service (PaaS). It’s a step up from SaaS, as it offers a framework for developing and customizing your applications. The third model is the most advanced, called Infrastructure-as-a-Service (IaaS). This is a self-service model for accessing, monitoring and managing remote data center infrastructures. But whichever model you choose, instead of installing apps and desktops on each and every personal computer, you simply (and securely) consume them from the cloud on any device. That’s a big deal because it means all of the heavy lifting of IT (like storage and security) is done for you. Then, you use the software, from anywhere. That’s it. It includes remote access to all of your files, apps and data. And the cloud services are deployed quickly, and are easily consumed through a monthly subscription model. It’s an entirely new way for growing businesses to ‘get out of the IT business’ and focus on doing what they do best. 2. How are smaller businesses using the cloud today? Even if they don’t realize it, many small businesses are in the cloud already. Accountants use it to share files and data with clients in a secure way. Retailers use it to back up point-of-sale systems. Construction companies use it for project management. The cloud is making a real impact on every size company in every industry. And an increasing number of small businesses are transitioning their entire IT infrastructure to the cloud. Instead of owning and maintaining their own servers, they’re focusing on the things they do best ― and leaving the rest to the experts. 3. Give me some examples of cloud apps. If you’re a company using web-based software (or ‘Software-as-a-Service’) for timesheets, expenses or HR processes, you’re already in the cloud. The same goes if you’ve got things like Gmail, Salesforce CRM, Office 365 or other software services that are run by the vendor. So your apps are there when you need them and your data is stored, secured and backed-up remotely. 4. What are the main reasons for moving some or all of my IT into the cloud? Lower costs ― With no up-front spend; no need to ‘over-provision’ for expected growth; real savings on license fees; and more predictability of costs. Tighter security ― You benefit from bank-grade security for everything from full encryption and firewalls to instant updates, patches and 24x7x365 monitoring. Less admin ― Cloud IT is easier and faster to deploy and the management and maintenance are taken care of. Greater agility ― You can spin up new services as needed and close them down when they’re not ― plus it’s a simple, subscription-based payment far from the locked-in licensing of traditional software. Easier mobility ― Cloud-based data, apps and desktops are always available to every member of your team, no matter where they are or what device they’re using. Not a bad list for something that costs less than the way you do things now! Especially since your current costs include hardware and software updates, as well as IT maintenance ― all of which get reduced or eliminated when you’re in the cloud. 5. Is the cloud just another IT buzzword? It’s true that the cloud gets a lot of hype. But much of it is well-deserved ― the benefits of cloud-based IT are just too great to ignore. As a better way to deliver IT to your business, the debate is largely over. At Lanit, we work with hundreds of companies ― and we’ve never seen a single one go back from a cloud solution to on-site IT. It’s too compelling a business case. So the cloud isn’t a passing fad. It’s here to stay. 6. Is the cloud just for big companies? Not at all. In fact, small businesses have even more to gain from the cloud than enterprises. Fifteen years ago, only the big companies could afford to use software to improve their processes and do new things. Today, everyone has access to the kind of capabilities that only big companies used to have. And smaller companies don’t have huge data centers to worry about. That’s a huge advantage. 7. What kinds of companies are going cloud? The short answer is all kinds. On one extreme, you’ve got companies like Uber and Netflix that were born in the cloud. On the other extreme, you’ve got large companies that are transitioning one chunk at a time. In between is everyone else: small and mid-sized companies that are taking their own step-by-step journey to the cloud. Businesses in highly regulated, data-sensitive industries like healthcare and financial services are among the most eager to move to the cloud since it’s so much more secure than anything they can do themselves. 8 .What is cloud file sharing? Cloud file sharing lets your staff store documents, files and videos in a central location so they can share them with others and synchronize them across a range of devices. Instead of Stan having one version of a spreadsheet and Barbara having another, your entire team can work on the same projects at once without overwhelming email trails or version-clash. Meanwhile, all those files ― and versions ― are being managed and stored securely. 9. What are cloud apps and ‘Software-as-a-Service’? Cloud apps are just applications that live in the cloud. They come in two forms ― cloud-native apps and virtual apps. Software-as-a-Service is cloud-native. It’s what you get when you buy software on a subscription basis and it gets delivered through your browser. The provider hosts your applications from a central location (instead of on local servers or your staff computers). Virtual apps are applications that you move to the cloud so that you can deliver them to your team as a service ― just like cloud-native apps. For example, your staff might use Skype at work. But if your IT team needs to update Skype (so you don’t get hacked), they’ll probably have to go to everyone’s desktop and update them one at a time. If they ‘virtualized’ Skype instead, IT could just manage it centrally and deliver it to everyone’s devices remotely. The benefit here is that you get to keep the apps you’re familiar with, but you also get central management, so applications no longer have to be installed on devices one-by-one. Plus you get mobile access, added security and performance benefits. 10. What’s a virtual desktop and why would we want them? When we say ‘desktop’ we’re talking about the things that load when you turn on your computer. That includes your operating system, applications and data. ‘Virtual’ desktops are cloud versions of this ― you get the same set-up you had before, but on any device you happen to be using. You’ll want a virtual desktop for a few reasons. Virtual desktops centralize and outsource all the steps needed to get a new desktop up and running. The entire desktop is run and monitored for you. Hosted desktops also drive down IT costs because you are not buying new hardware as often and you are not spending all that time securing and updating the software and operating systems. Every user gets a new desktop without any of the heavy lifting. You give your team secure access from anywhere in the world. And if a computer is lost, a virtual desktop can be ready in minutes with an identical set-up to the one you had before (don’t worry, the lost one gets completely locked out ― there’s nothing locally installed, so no sensitive data to lose). Embracing the cloud doesn’t mean you have to drastically change the way that you do business. It might just mean ‘virtualizing’ your on-premises apps so that you can use them the same way that you use Skype and Gmail. Or it might mean ‘virtualizing’ your desktops so that you can manage everything through one interface while your staff ‘spin-up’ solutions they need on the device they prefer. In fact, you can move as much infrastructure as you like to the cloud ― the journey is always surprisingly easy. That doesn’t mean you won’t need a plan. What the cloud has to offer your organization. 11. What are the main benefits of moving our IT to the cloud? Lower costs: there’s no up front spend, and no need to provision for growth. Tighter security: you also get bank-grade security that you couldn’t afford to get on your own. Less admin: then there’s the fact that IT management is much easier in the cloud ― it’s faster to deploy and all maintenance is taken care of. Greater agility: cloud-based IT is super flexible ― you can spin up new services and close them down more easily, without being locked into licensing commitments. Easier mobility: cloud-based IT also makes apps more accessible and your staff more mobile, so services are available to everyone on the team ― wherever they are. 12. Will the cloud save us money or cost more? The cloud saves you money in a couple of ways. First, it’s a simple subscription model, without the upfront fees or the long-term commitment of traditional licensing. And unlike on-premises infrastructure, you don’t have to pay for endless upgrades, support fees, system maintenance or additional hardware like a back-up system. Most companies save money when they move to the cloud. (And even if the cost stays pretty much the same, the benefits are overwhelming). 13. Why is a subscription model such a big deal? A subscription model for SaaS (Software-as-a-Service) is advantageous for two reasons. First, you don’t have a large initial capital outlay ― you use operating expense to access the SaaS instead. Second, with an ongoing subscription you’ll always have up-to-date services, which means you’ll never have to face a large-scale upgrade, nor have to deal with software patching. 14. Why is cloud-based computing an economic advantage? It’s common for companies to ‘over-provision’ capacity, buying more than they need (like a bigger server or more app licenses) so they can grow into it. However, ‘elastic’ cloud capacity means you never have to do that. Rather, you can scale compute capacity as conditions warrant ― minimizing overall compute cost. 15. Is the cloud a secure place for my sensitive files and customer data? Absolutely ― that’s why large enterprises use it so much. 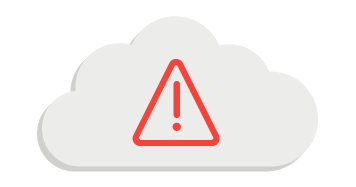 For a start, the cloud is safer because your data is secured and backed-up off-site and you get automatic updates whenever a new security feature is released. Plus, Lanit invests the time and money needed to get the highest levels of security ― with robust hardware security as well as the latest encryption standards. Your business probably couldn’t afford this level of security, but cloud providers can (and must!). 16. How much control will I have in the cloud? As much as you want. Only you determine the administration of your services ― you choose who’s in control, and who can access what. You’re also free to veto or revoke responsibilities as you wish. And if you have any doubts about the role of Lanit, just ask ― We will be 100 percent transparent about the services we provide. 17. How can staff access apps and data if they’re not in the office? As long as they have an internet connection and valid login details, your staff are free to access their files, apps and desktops from any location or device, with the same user experience and layout. Plus, most apps offer high-level functionality offline. In some cases, work can be completed without a connection, then uploaded and saved as soon as one becomes available. Nervous about the cloud? Here are some things to look out for. 18. Can anything go wrong in the cloud? There are a lot of concerns about security in the cloud, but as we discussed in the previous section, cloud providers actually have far better security than their customers do. Aside from that, your biggest worry will be losing connection, in which case you won’t have to wait too long to get up and running again. And since offline functionality is an option, you can usually carry on working as before ― once you’re reconnected, your work will upload and save automatically. 19. What if someone loses their laptop or smartphone? If a device goes missing, it’s not a big deal. Access details can be changed in minutes to let people log back into the apps they were using from new devices. And saved files will stay exactly where you left them ― safe in the cloud. Plus if you opt for virtual desktops you can have entire desktop configurations recreated instantly, so even if a laptop disappears, you’ll miss nothing but the hardware ― and likely avoid a data breach scenario. 20. What if we’ve already invested a lot in our own servers and IT? That’s okay. Remember that the cloud is a journey ― you don’t just transition everything all at once. Most businesses start with new cloud services before transitioning their existing infrastructure over time. Lanit can walk you through a sensible journey, so you can create a model that ties in with your current set-up. Talk to us! 21. What will our IT team do if we move to the cloud with an IT service provider? Innovate! Since cloud solutions don’t need updating, maintaining, or securing at your end, there’s no need to train personnel for in-house IT expertise. All your team needs to do is ensure that staff secure the devices they bring in, especially if you have an open bring-your-own-device (BYOD) policy. The rest of their time can be spent on idea generation and development for more exciting projects. 22. Are there any reasons NOT to put our IT in the cloud? It’s important not to stray outside your comfort zone. The cloud doesn’t have to be an all-or-nothing decision. Think of it as a journey and go at your own pace. If you want to start small, start small ― try moving a few files to the cloud and see how it helps your team. 23. Where should I start if we’ve never used the cloud at all? There’s no one-size-fits-all approach. Some companies like to jump right into desktop transition, but you might like to start with something as simple as cloud file sharing. Again, talk to Lanit about what you want to achieve, and flag any early concerns so that you’re transitioning at the right pace. 24. I’ve heard that the cloud is only do-it-yourself (DIY) - will anyone help us move to the cloud and manage once we get there? The cloud has made it a lot easier to develop new solutions, so it’s a great place for developers who like DIY. But you can go much further (and more securely!) with Lanit having your back. We’ll take the time to get to know you and design a path to the cloud that works for you and your staff. We’ll free you of deployment and management hassles, reporting regularly on how your set-up is working out. Plus we’ll be on hand to support your users whenever they need it. Go it alone, and they’ll miss out on that kind of support. 25. What’s the usual progression for growing companies as they move to the cloud? No two cloud journeys are the same, but most growing businesses start with files and data. That way, your files become more available, and your work is streamlined with minimal disruption. Existing applications are usually moved next to raise the standard of core business processes. Desktops are moved in the later stages, to eliminate the need to install and manage systems on computers one-by-one. But whatever the first step, the progression is flexible, and it’s up to you. 26. How do I convince management that the cloud is safe and smart? Show them that it works. Find case studies from big players like banks and healthcare businesses that demonstrate the benefits of the cloud. And use examples from companies like yours (there will be plenty). We can put a presentation together for you ― we’re here to help! It might just mean ‘virtualizing’ your on-premises apps so that you can use them the same way that you use Skype and Gmail. Or it might mean ‘virtualizing’ your desktops so that you can manage everything through one interface while your staff ‘spin-up’ solutions they need on the device they prefer. In fact, you can move as much infrastructure as you like to the cloud ― the journey is always surprisingly easy. That doesn’t mean you won’t need a plan.